Pritec Vaculyft AB’s owners has been in the business sins the early -80´s first as employees at the inventor of the TUBE* lifter and then as business owners from 1987. We have a wide knowledge and experience in terms of lift and material handling and specially with the TUBE lifters. We produce in modern production environment with ergonomic and sustainability in focus. Knowledgeable and experienced staff produce products of high quality with proven economic and ergonomic advantages for the customers. Pritec Vaculyft AB are specialists in lifting and materials handling. 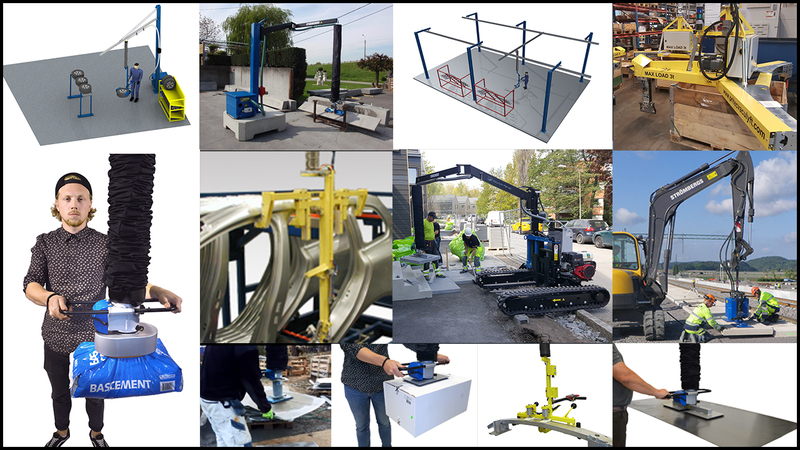 We manufacture and build materials handling products for industry in close cooperation with our dealers/customers. We develop and manufacture paving machines for the construction business. Our focus is on a good working and ergonomic environment for our customers’ end users. Our products make heavy lifting easier and contribute to a better working environment at our customers’ workplaces. Our products meet our customers’ requirements for reliability, ergonomics and overall value for money. We work systematically to meet the requirements that customers, authorities and other stakeholders demand of us. We strive for continuous improvement in our quality assurance work and in our processes. When we develop and construct a new product, we work to reduce our wastage of raw materials and bear in mind the product’s energy consumption. Waste material is sorted. We cooperate with our suppliers to reduce the environmental impact of transportation and consumables. We maintain a high level of knowledge regarding the environmental impact of our products, and therefore we naturally work in a way that reduces our environmental impact as much as possible.